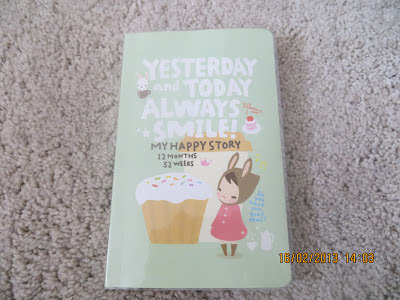 Here is a post on some gorgeous items I recently found on Ebay! I have included the links so you too can go get the gems that I have. 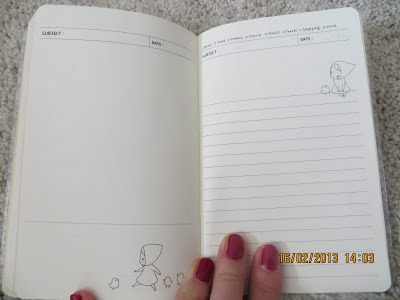 I did find some of these via http://www.vipxo.co.uk/ who has a super blog! 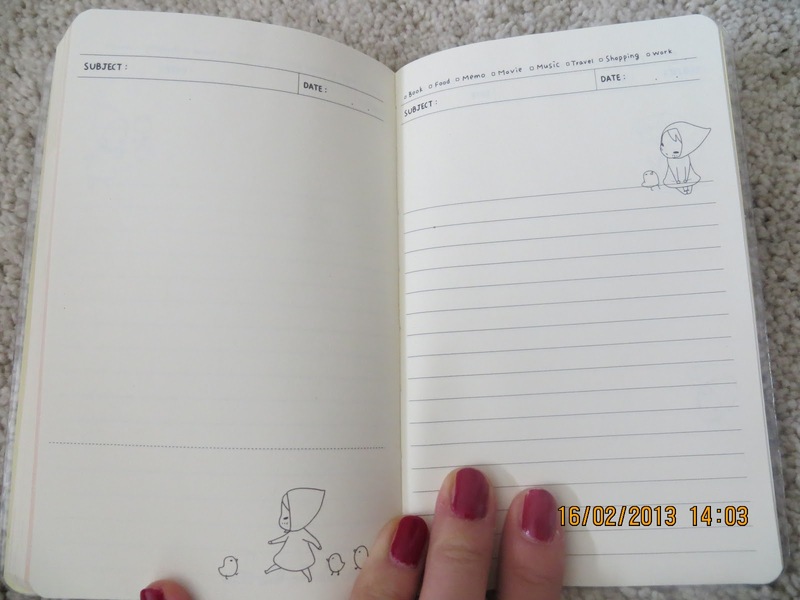 I have just started using a new camera so excuse the date in the bottom corner, cant seem to take it off! Will figure it out soon, hopefully! Hope the pictures are bigger and clearer! Let me know what you think. 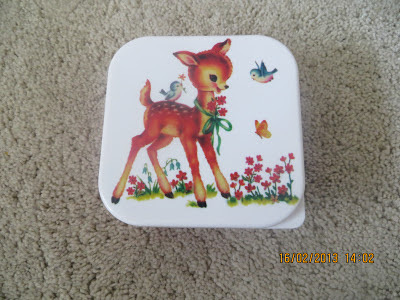 I adore little Bambi items at the moment! I literally am feeling like I am about to embark on a new found love where I will start collecting all things Bambi/Fawn and Deer style! I was overjoyed when I found this little gem on Ebay. Its a tupperware box with the cutest picture on the front. 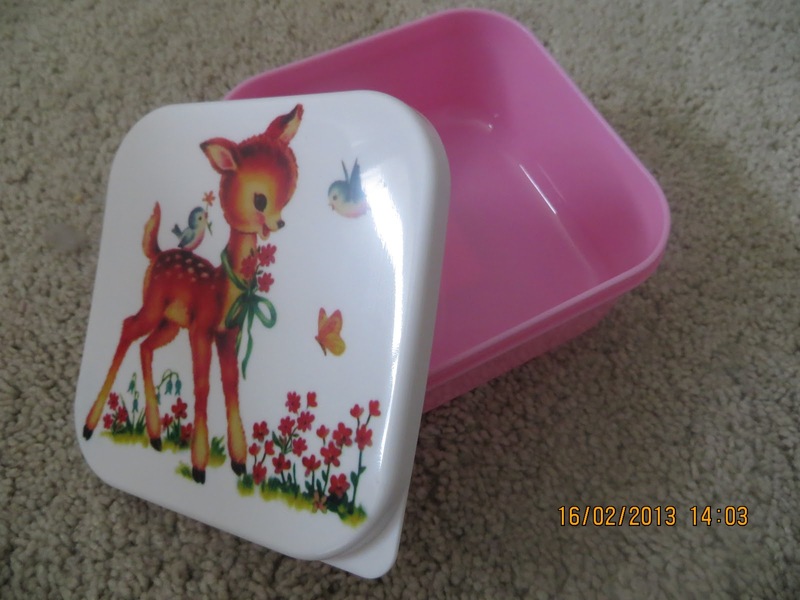 The box is pink and the lid is white with a little fawn scene. 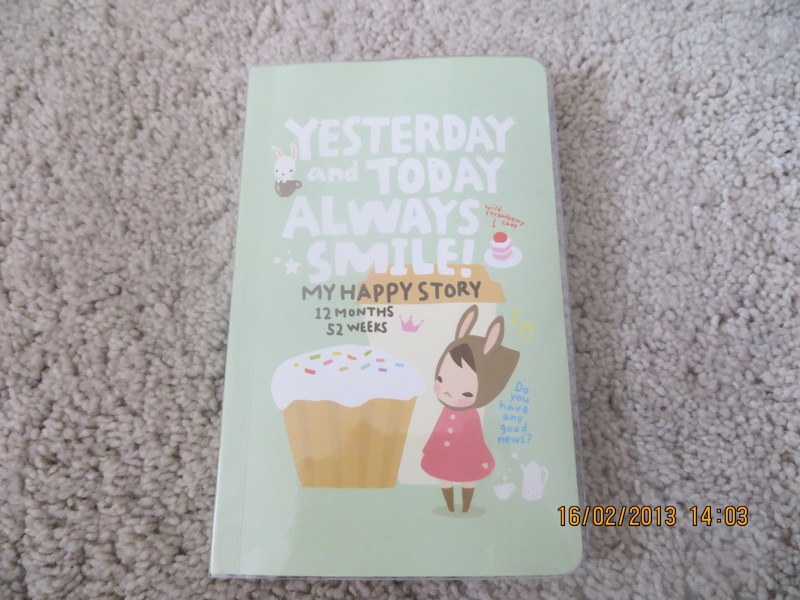 I have been looking for a diary/organiser for a good while and stumbled across this beauty! 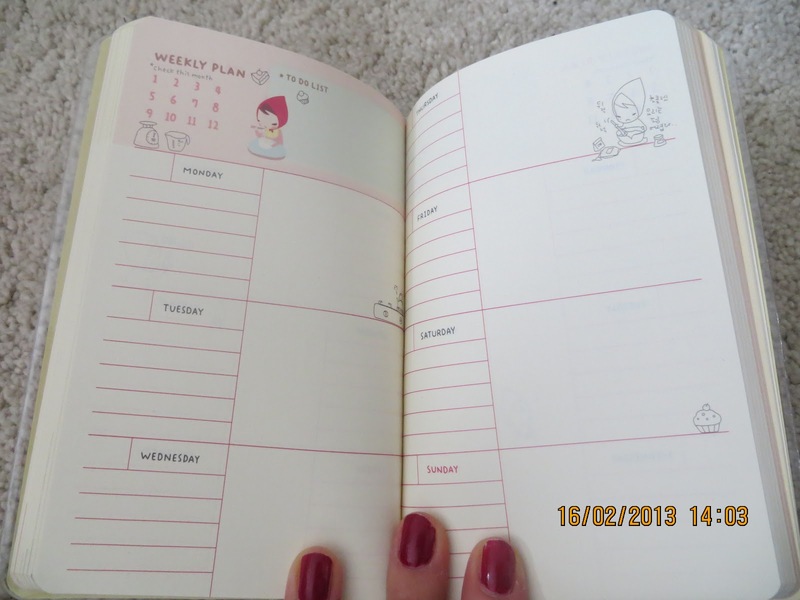 A gorgeous journal that also has pages to help me feel organised and a diary! Perfect! 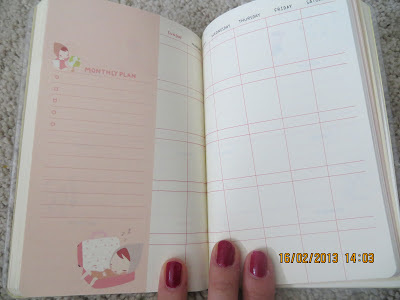 I love the pastel shade and design which is repeated throughout the journal on each page. 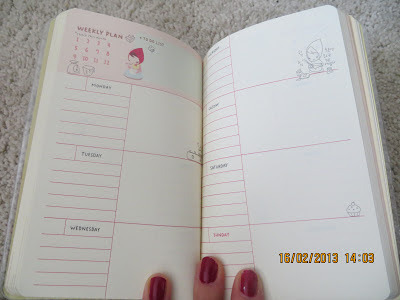 Weekly plan, organiser and monthly pages. This is one of my fave new bags!!! A mint delight! 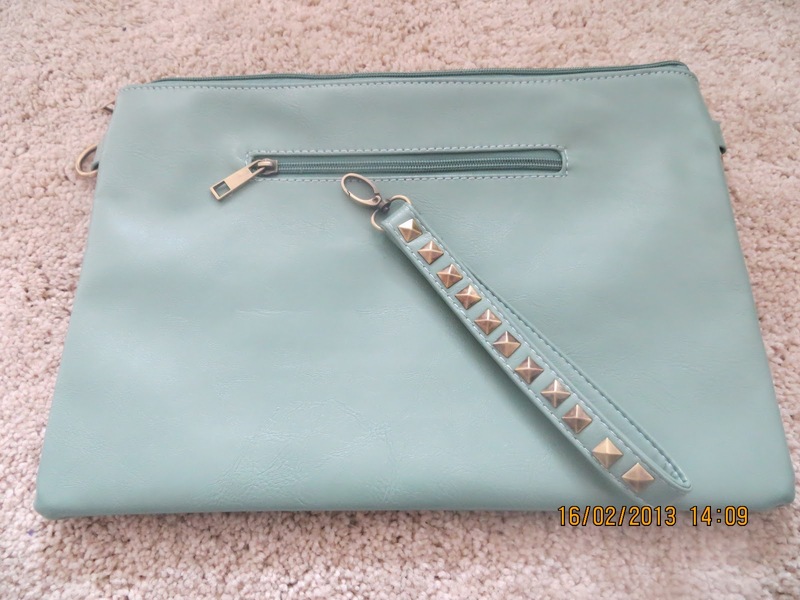 A gorgeous clutch, shoulder strap bag that could fit in a tablet or large magazine! Its a handy size with a strap to change it to a shoulder strapped bag or a holder strap so you can hold it instead of carry it, if that makes sense! 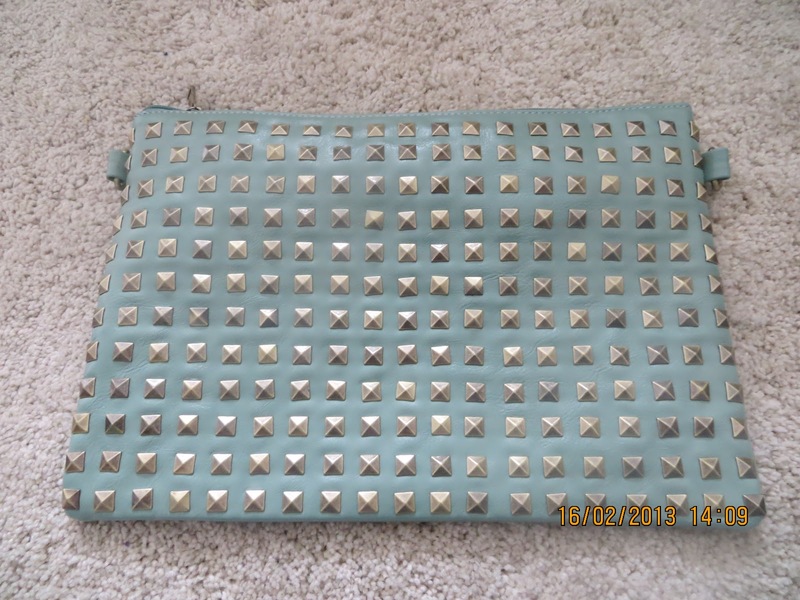 A studded beauty! What has been your favourite Ebay finds? Hope you all enjoyed this post!! 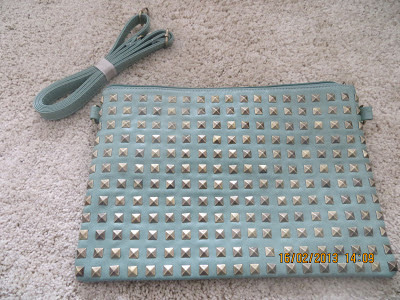 Love the clutch it's so cute. That's right, bambi's so cute. The box is soo adorable, I may have squeeled out loud!!! That clutch is so yummy!! i always find some good dresses which cost next to nothing! i like ebay shops for bags, they've always got good dupes.